Save nearly 50% with these build your own bundle discounts. If you're on the look out for some playful distractions from your creative work, what could be better than this build your own bundle discount from Nintendo? 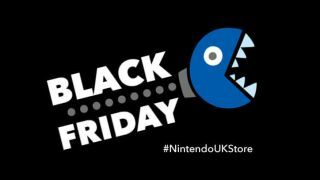 Famed for its innovative characters and gameplay, Nintendo titles are a great way to get your creative juices flowing in your downtime, and now you can grab massive reductions on its consoles and games. For those of you in the UK, right now you can pick up a Nintendo 2DS XL with three selected games for just £129.99. That's a reduction of up to £119.97 against it's RRP of £249.96. And considering that we've seen the 2DS XL go for more than the price of this bundle alone, you're essentially getting three top tier games for nothing. As part of the bundle you get to choose your colour of console and three games that include leading titles such as Zelda, Animal Crossing, Mario, and many more. This offer only runs while stocks last, so don't miss it! Mamma mia! Save: £119.97: Buy a new Nintendo 2DS XL console and your choice of 3 leading games at an amazing knock-down price. Stocks are sure to vanish quickly, so don't let it pass you buy! After more Nintendo goodies? There are more bundles and exclusives to be picked up when you head over to its online store. If you're after even more amazing Black Friday and Cyber Monday 2018 deals, be sure to bookmark Creative Bloq as we're keeping tabs on all the creative and design discounts you don't want to miss.